The absolute best ant killer I've ever used!!! 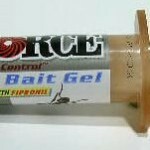 Have been using the MAXFORCE gel bait for a couple of years now and it's terrific to wipe out whole colonies of ants. We live on never-before-developed land, and the ants are in abundance. The MAXFORCE GRANULES, used as a perimeter "no fly (ant) zone," has essentially stopped ALL ant activity near the house, inside and outside. Terrific products–well worth getting and easy to use, too. I'm a customer for life. Ants gobble it up! Best stuff to attract ants and kill off the queens. Dramatic results. My top pick for controlling ant population. The MaxForce Ant gel is great. We have these tiny 'sugar' ants in our kitchen and nothing else seems to work, but with the MaxForce, the ants are attracted to it and eat it. After a few days most of the ants have disappeared. We needed to apply a second application a few weeks later to get rid of all of them. Between the Adonis and MaxForce, I believe our ant issues may be over.